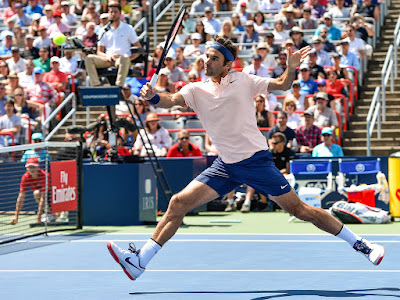 Roger Federer needed less than an hour to defeat Canadian Peter Polansky 6-2, 6-1 at the Rogers Cup in Montreal on Wednesday in his first appearance since winning a record eighth Wimbledon title in July. 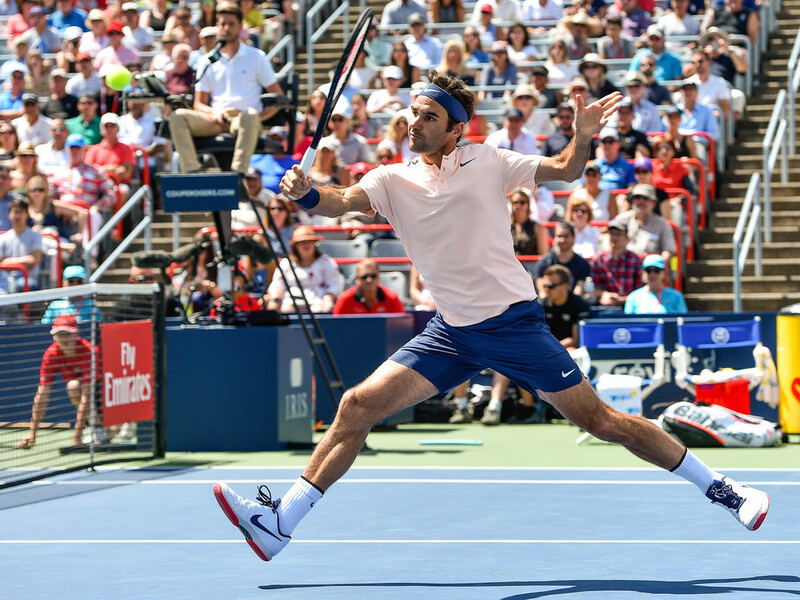 A day after celebrating his 36th birthday, Federer played the aggressive game that has propelled him to five titles, including two grand slams, this year, attacking the net and rocketing second serves. Polansky, a wildcard for the ATP Masters 1000 event, never looked comfortable. The 29-year-old double faulted twice in his first service game and had difficulty handling Federer's pinpoint serves. "I started the first set well. In the second set, I was able to put pressure on him and he helped me with some double faults, of course. Overall, I'm very satisfied with the match. The conditions were tough here in Montreal. There was a lot of wind today and it was fast. Sometimes it's difficult to find the rhythm. "But I was happy that I was very focused on my service games. I was aggressive. This is how I want to play for the whole week. Anyway, it's a good start," Federer said. Federer, who has lost only two of 34 matches this year, will next play Spain's David Ferrer who prevailed in a three-setter against American Jack Sock 7-6 (7), 3-6, 6-1. ''I think in this tournament I'm trying to play with confidence that I gained through the grass-court season. I have to adjust my game a little bit just because the bounce of the ball is so much higher here than at Wimbledon, and there's wind, which in Wimbledon we didn't have much of," Federer said. Polansky, ranked No. 116 in the world after some strong results in challenger events, upset No. 75 Vasek Pospisil of Canada in the first round on Monday. It was his second meeting with Federer. At the 2014 Rogers Cup, he lost 6-2, 6-0. ''Even though I lost, this is one of the most memorable experiences of my life along with the match I played against him in Toronto,'' Polansky said. ''His transition from the baseline to the net, it's a joke.